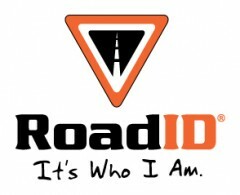 If you run alone any time of day or night and have not checked out Road ID yet, I highly recommend that you do. I have been running with a Road ID for nearly a year now and have been very happy with it. I have luckily not needed to use it yet for an emergency which I am happy for but I still strap it on each time I head out the door by myself... day or night. Some may say that I can't prove it is needed because I haven't had to use it yet, but just like life insurance or a fire alarm you don't want to be caught without them when the dreaded time comes. I don;t have any medical issues, but I would like my wife to know quickly in the event something does happen rather than them trying to figure out who I am while my family sits at home either worrying or maybe even not knowing what is going on. When I first got a Road ID in September of last year I opted for the Wrist ID Elite. I liked the clean look of it and it matched more of my clothes considering I opted for the black one. I can't tell you how important it is that I match completely each time I head out the door at 5:00 am.... you just never know when you run into someone you know, or heaven forbid they run into you. I have been very happy with the Wrist ID Elite and have wore it more times than I can count. In January I had my only issue with my Wrist ID Elite when the clasp fell apart. It didn't fall apart to the point where it was unusable because it was the safety catch, but I wanted to get it replaced so I didn't loose it somewhere on a run. When I contacted Road ID they quickly replaced it without any questions asked. I really like the Wrist ID Sport just as much as the Wrist ID Elite, I now can say that I truly don't have a preference and I can base it solely on matching what I am wearing. Like I mentioned earlier, I have not had the need to use it for an emergency, but if I ever do I will make sure I check back in with you and let you know how it goes. Going through the process of building the tag information and making the purchase is very easy and I was through it really quick. I chose name, address, and my wife's name and phone numbers. Since I had an extra line I also went ahead and put my one medicine allergy since it could be something they would try to use in the case of an emergency. I ran out of lines so I couldn't put the fact that I was also allergic to being hit by a car...... so I hope that never happens. I was also given the opportunity to give one of you the option of winning your very own Road ID. The giveaway is open to US and Canada residents and will run through April 12th. The winner will be chosen using random.org on April 13th. Visit www.roadid.com and tell us what product you are most interested in. Like the Road ID Facebook Fanpage. Follow the Road ID Twitter Account. Share this giveaway on Facebook, Twitter, Dailymile, or your blog and you will get 2 entries for each time. Please leave a comment on this post for each of the above. Of course, if you like 26.2 Quest don't forget to subscribe via Google Friend Connect, RSS, The Facebook Fanpage, or Twitter. If you subscribe at 3 of the 4 leave an additional comment for an extra entry. I followed road I'd on twitter. Follow/Subscribed to 26.2 via all 4 methods. Already a 26.2 Quest FB Fan, just became a Twitter Fan and just added Google Friend Connect for an extra chance to win! Thanks! http://twitter.com/#!/scrapping4twins for the extra 2 chances to win. Thanks! Just became a Fan and Followed on Twitter - would love the Wrist ID Elite in PINK! Thanks again! Became a Fan of Road ID (forgot to do 2 separate entries). Thanks! Wrist ID Elite in green. I would love to try the Wrist ID Elite in RED!! Thanks for the giveaway! I have been wearing a RoadID for about 2 years now. It does not matter if i'm running, swimming or cycling you will not catch me without it! As a Police Officer who has the unfortunate task of responding to calls in which a car has struck a runner or cyclist it is one of the first things I look for. I truly believe EVERYONE should have one! I also already follow Road ID on Twitter. And of course I "like" them on Facebook. I have been wearing the original ankle ID for years and one of the first things Idid when I moved was update it. Interested in the new interactive model and also the firefly. Liked the FB page a long time ago, and have been following on Twitter. I like the shoe id. I like Road ID on FB!!! I love my RoadID. Neat give-away! Followed you and Road ID on Twitter. Followed you and Road ID on Facebook. Just posted a note to "like" 26.2 Quest's fanpage on Twitter. Just posted a note to "like" 26.2 Quest's fanpage on Daily Mile. Ok, this is the last comment. I just posted a note to "like" 26.2 Quest's fanpage on Facebook. I love keeping up with you on Twitter/Daily Mile. Keep the inspiration coming! I already own a shoe ID. Very easy and quick to switch out for different shoes. Like you, I haven't had to use it, but it does give me a little comfort. Most of my runs are solo. this is going to sound weird, but my roadid totally vanished and i have been meaning to buy a new one ever since *so pick me! pick me* I want the shoe id (since the ankle one drove me nuts) and if it is attached to my shoe.... i can't lose it. right? oh and i want it in red. please. i have liked them both on my personal FB page and on my Barbie's Marathon Training FB page! mucho love to RoadID! .....and i am following them on twitter now too. The ankle ID in red. I also "like" Road ID on FB. Wrist ID elite in red. I like RoadID on Facebook. I follow this blog through Google Friend Connect, Like the facebook page, and follow on twitter. I would Love a Shoe ID in Red! & Shared on facebook - Thanks for this oppurtunity! I am most interested in the Replacement ID Sport. My husband got an ankle band for Christmas, and some of our information has changed since then. I need to update his ID. Already have 1 Shoe ID and a Elite Write ID, but would love another ShoeID so I don't have to move the ID when I change shoes. I would probably order the Wrist ID Elite in blue or purple. I would want to get my brother a Road ID for my brother. Probably the sports ID! I like the Wrist ID Elite in Pink. Wow! I need to get one of these. After my horrible bike crash last week that left me with a concussion and broken tail bone I am a believer. THANK GOODNESS I wasnt alone but now more than ever I understand the importance of the Road ID!!! I follow Road ID facebook page!! I want to get a Road ID Elite in Black or Red for my husband so he can be safe too. He just started running. I like the Wrist ID Elite for my hubby, and the shoe ID for myself and my munchin. I am a deaf walker and am so paranoid about the traffic, even in our residential area! Great product!!! Thank you for the taking the time to coordinate this giveaway! Wrist ID Elite in Purple! Ankle ID, Black! ... already been following RoadID for a while! Followed on Twitter, liked on Facebook. I'm most interested in Road ID Sport. Became one of the 83K+ likes on Facebook! Became one of the 20.5K+ followers on Twitter! Shared via Retweet on Twitter! I've had my eye on a wrist ID in pink for a while now! I follow you on twitter, and through google friend connect!